An important annual fixture in the calendar of the FX industry’s senior executives is approaching in the form of the Forex Magnates London Summit, our exclusive flagship event which is scheduled to take place on the 18th-19th of November this year at the Grange Saint Paul’s Hotel. The event is limited to invited attendees only, and it is advisable to secure your places early on here. In addition to our commitment to provide the international retail and institutional FX sectors with fast-breaking, leading news, Forex Magnates performs a highly valuable role in providing high level platforms via trade-renowned summits for the world’s movers and shakers to network and focus on driving the industry forward. The Summit’s agenda is brimming with cutting edge panels, networking sessions and events. We believe that innovation creates competitive advantage and builds the Financial Industry – enter the “Innovation Stage” – a new arena to kick off the first day of the 2014 Forex Magnates London Summit. Five new and promising Finance industry start-ups will showcase their very best new innovations, going head-to-head for the top prize while five established companies will raise the curtain on their own ground breaking products exclusively to Summit attendees. The pitch session will be followed by an expert panel which will focus on web design, affiliate services and payment solutions. The popular Networking Blitz will kick off early in the evening -this is a high-impact networking session that maximizes visibility and guarantees successful business. On the second day we will gravitate towards the theme of marketing. Key professionals will discuss volatility, regulation blows, increasing competition, as well as the do’s and don’ts for optimizing any given situation. You are then welcome to attend the relevant keynote speech – “The PR Challenge – Master the Media” – which focuses on all the methods and tools essential to customizing the media to your specific needs. Next up is a Technological Innovations panel which will cover tech trends and their impact on the financial industry. The final panel of the day will examine the different aspects of the huge IPO surge which has been taking the industry by storm. The Summit will close with the Forex Magnates Awards Ceremony, in which the industry’s high fliers are recognized for their outstanding achievements for 2014 by their peers. The ceremony will be presented by Forex Magnates’ CEO, Michael Greenberg. 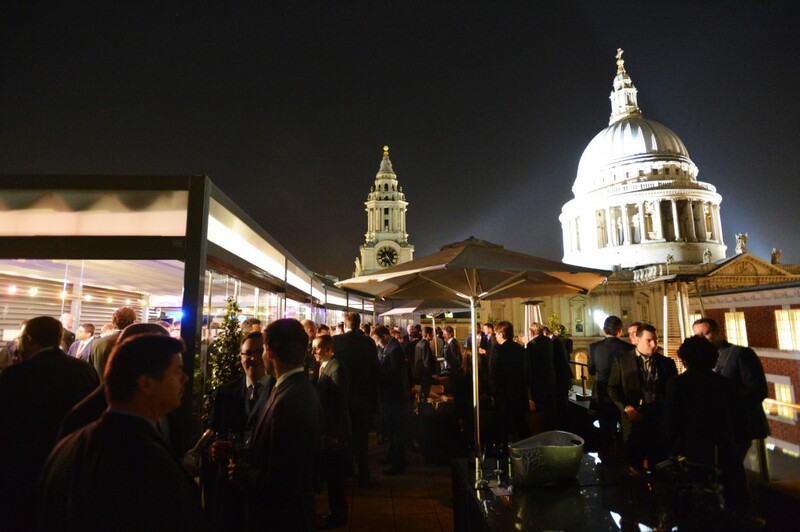 After congratulating the winners, the closing attendees party will be held at The Grange St Paul’s Rooftop Bar.